The museum welcomes poet, novelist and essayist Linda Hogan (Chickasaw) for the latest Simon Ortiz and Labriola Center Lecture on Indigenous Land, Culture, and Community. 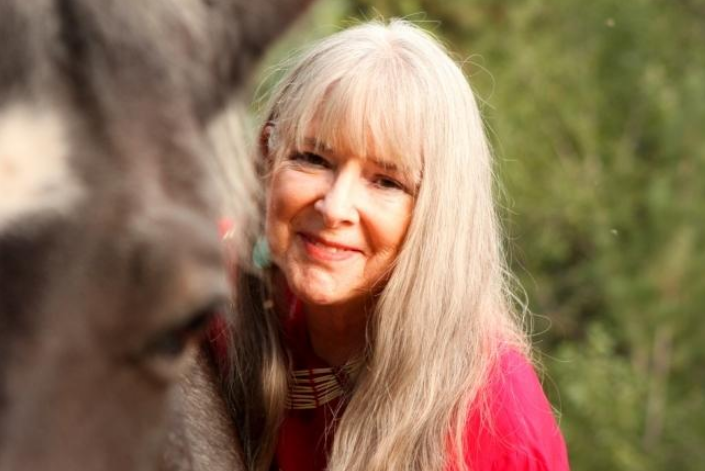 Linda Hogan (Chickasaw) is a renowned poet, novelist, essayist, and environmentalist. She is the author of the poetry collections Calling Myself Home (1978); Daughters, I Love You (1981); Eclipse (1983); Seeing Through the Sun (1985), which won the American Book Award from the Before Columbus Foundation; Savings (1988), The Book of Medicines, a National Book Critics Circle Award finalist (1993); Rounding the Human Corners (2008); Indios (2012); and Dark. Sweet. New and Selected Poems (2014). According to the Poetry Foundation, Hogan’s poetry primarily deals with the environment and eco-feminism, the relocation of Native Americans, and historical narratives, including oral histories. Her novels include Mean Spirit (1990), Solar Storms (1995), Power (1998), and People of the Whale (2008). Her lyrical work is considered to be work of literary activism, and it contains Native spirituality and indigenous knowledge systems in all genres. Hogan’s nonfiction includes a collection of essays on environment, Dwellings, A Spiritual History of the Land (1995); and The Woman Who Watches Over the World: A Native Memoir (2001). In addition, she has, with Brenda Peterson, written Sightings, The Gray Whales’ Mysterious Journey (2002) for National Geographic Books, and edited several anthologies on nature and spirituality. She has written the script, Everything Has a Spirit, a PBS documentary on American Indian religious freedom. In 2007, Hogan was inducted into the Chickasaw Nation Hall of Fame. She has been awarded a Pushcart Prize, the PEN Thoreau Prize, a National Endowment for the Arts Fellowship, a Guggenheim Fellowship, a Lannan Foundation Fellowship, and lifetime achievement awards from Native Writers Circle of the Americas, The Wordcraft Circle, and The Mountains and Plains Booksellers Association, along with many other honors and recognitions from state and national arts organizations. She is the first minority woman to have been named a full professor at the University of Colorado, where she is currently professor emeritus. Photo of Linda Hogan by Gabriel Padilla.